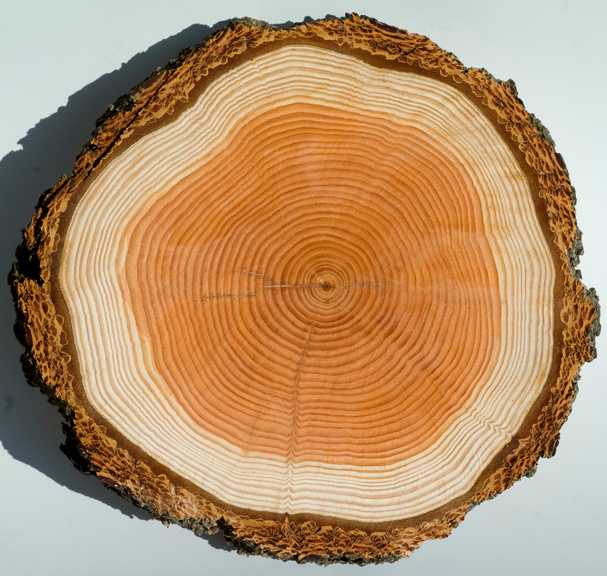 When you look at the cross-section of a tree, you see a series of concentric rings. 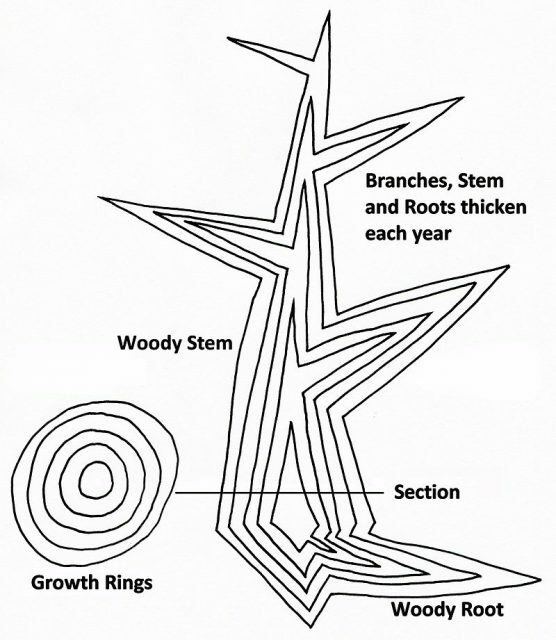 One ring is the layer of wood produced in one growing season. 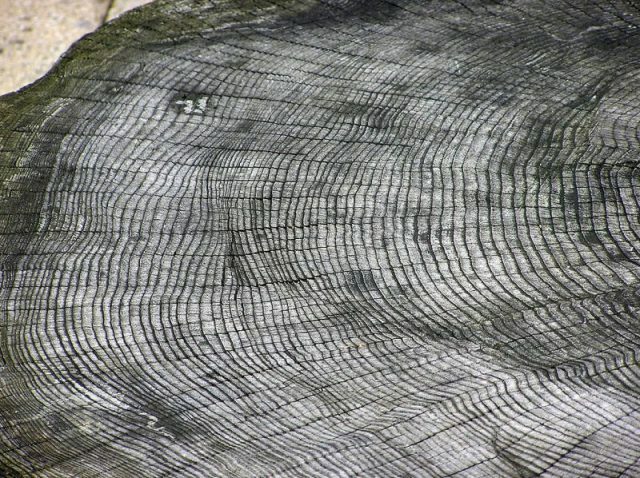 According to Icogitate, each ring marks where the dark later growing wood of the previous year meets the paler-colored early wood of the next year’s growth. One annual ring is one dark ring and one light ring together. 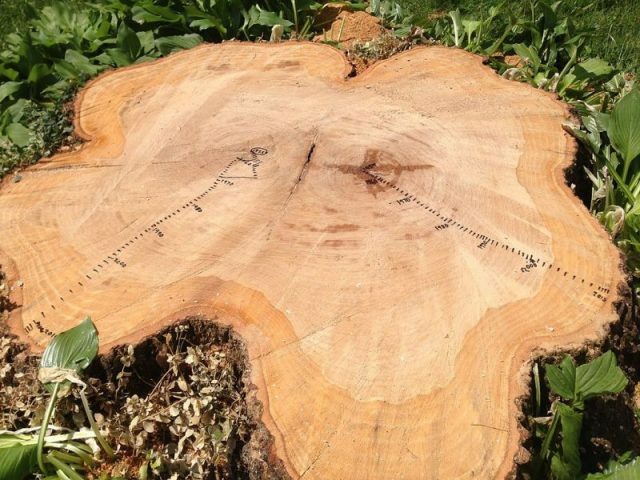 Counting the rings can tell us how long the tree has lived; more rings means an older tree. 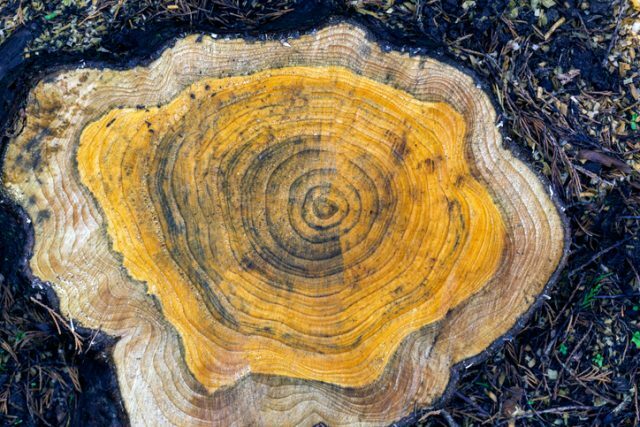 Tree rings can tell us other things, too. For example, they can potentially help us place events from the distant past more precisely in time. According to a story in The Guardian, archaeologists believe they have found a way to put more accurate dates on events that happened in prehistory. Rare and intense solar storms have left their mark on fields and trees around the world for the last 5,000 years. Michael Dee, of Oxford University, thinks that evidence of this sort of storm can help us put precise years to some of history’s uncertain dates, such as when the Great Pyramid at Giza was constructed or when the Vikings first came to the Americas. 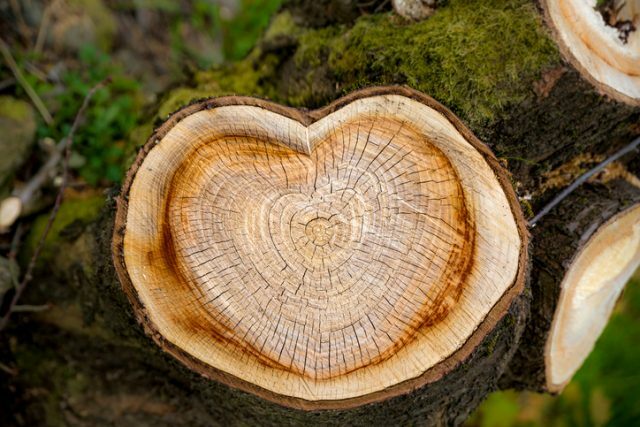 Dendrochronology is the science of dating events by using the characteristic patterns of annual growth in trees or timber. 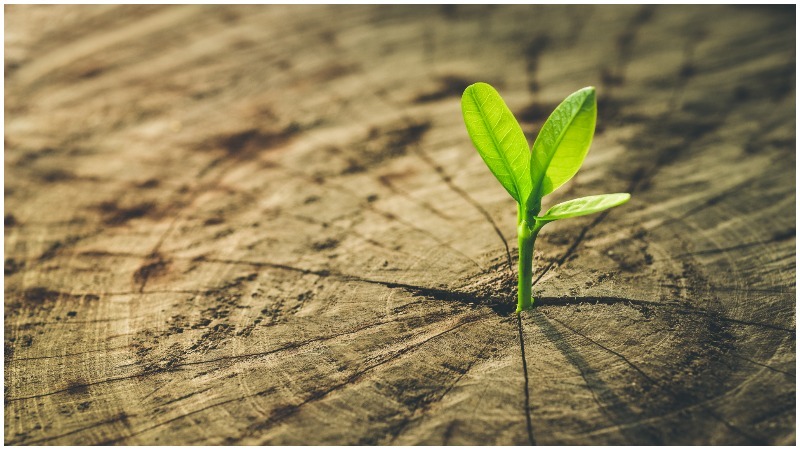 For decades scientists have been using tree rings and carbon-dating to build a timeline of events that confirm historical accounts – sometimes even events that predate written history. Annual rings, larch; Larix decidua. Carbon-dating works by comparing the ratio between two isotopes of carbon – carbon-14 and carbon-12 – in old, organic material. Carbon-14 in the upper atmosphere is pretty constant, due to the planet being constantly bombarded with cosmic rays. Since isotopes decay at a known and predictable rate, the proportion of C14 to C12 in, for example, old wood, tells us about how old it is. Carbon dating isn’t very precise, however, in that the results can be plus or minus 50 years. It’s also expensive. Severe solar storms, though, can cause trees to have much higher levels of carbon-14 during the years that the storms occur – up to 20 times higher than in a normal year. These storms would affect every existing tree and plant on the planet when they occur. That can help determine what year historical events happened. 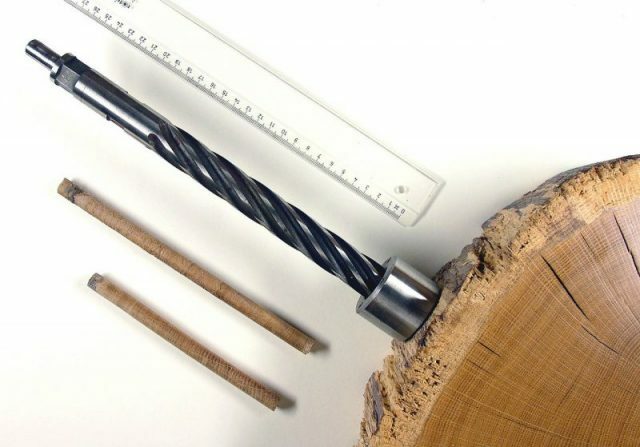 By comparing these high carbon-14 tree rings to building materials from ancient structures, the structures can be more accurately dated and the correlating historical events better pinpointed in time. Close up view of a tree trunk showing the annual growth rings. According to the Daily Mail, analysis of trees in California’s bristlecone pine forest showed evidence of these types of elevated carbon-14 levels occurring in 5480 B.C. An international team led by Japanese scientists from Nagoya University measured carbon-14 levels in trees in that forest, some of which have lived for thousands of years and hold in their rings records of solar events that have affected Earth through a great deal of its history. Scientists said that the elevated carbon levels they found showed a more abrupt change than any they had seen, except for similar changes occurring in 774 A.D and 994 A.D., and their use of annual tree-ring data, rather than using data by the decade, is what allowed them to place it in time. 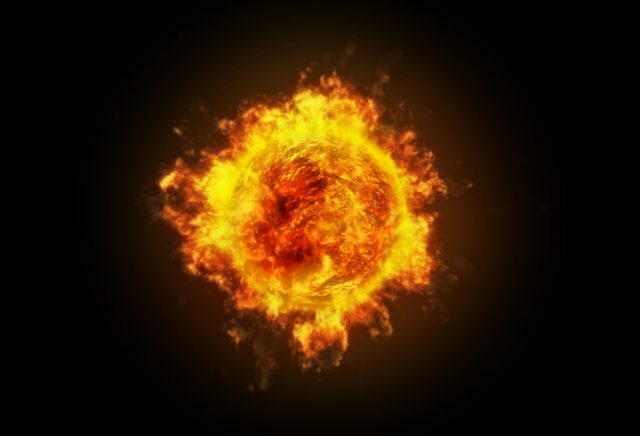 They attribute the data to being the result of a change in magnetic activity in the sun, combined with strong solar bursts, or a very weak sun. 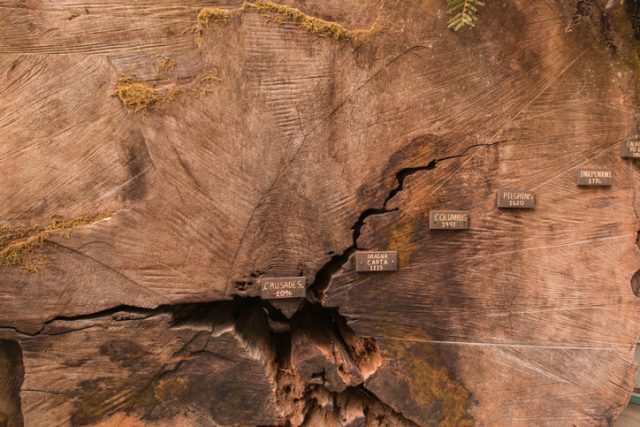 Old tree rings telling time and age of trunk. Michael Dee and his co-author, Benjamin Pope, in an article for the journal Proceedings of the Royal Society are proposing a new field of study, astrochronology, that will use this solar evidence as a means of “tying down” so-called “floating chronologies,” such as those of ancient Egypt, the collapse of the Mayan civilization and the Bronze Age, to fixed dates on the universal calendar. None of this had been known before, because the study of tree rings is generally done by decadal sets of rings, rather than annual, and so the carbon-14 spikes hadn’t been noticed. Now, though, we have an opportunity to be able to better fit together the pieces of our early history, and learn more about how it all goes together.